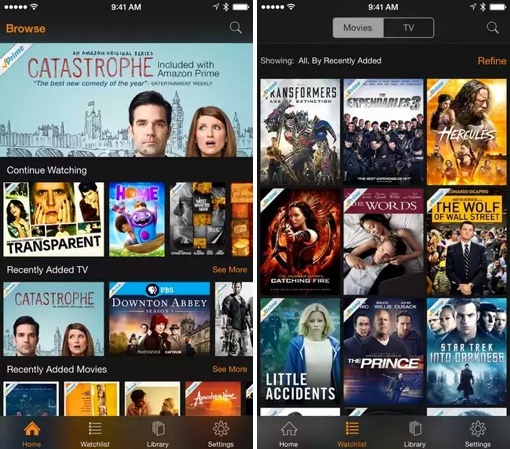 Big news in the world of online streaming video: Today, it was announced that Amazon Prime members can now download TV shows and movies on Amazon Instant Video for offline viewing through the company’s Amazon Video smartphone and tablet app. The Amazon Instant video library includes a number of popular TV series including 24, Downton Abbey, True Blood, Curb Your Enthusiasm and The Sopranos. A number of semi-recent Hollywood hits are also available, including Anchorman 2, The Hunger Games: Catching Fire and The Wolf of Wall Street. And, of course, Prime members have access to Amazon Original Series like Alpha House and Transparent. There’s a lot of kid-friendly entertainment too, including Blue’s Clues, SpongeBob SquarePants and the Amazon Original Tumble Leaf. If you currently have the Amazon Video app on your phone or tablet, it should have already updated to include the new offline viewing functionality. If you don’t already have the app, it’s a free download for Amazon Prime members on iOS, Android and Amazon Kindle devices.